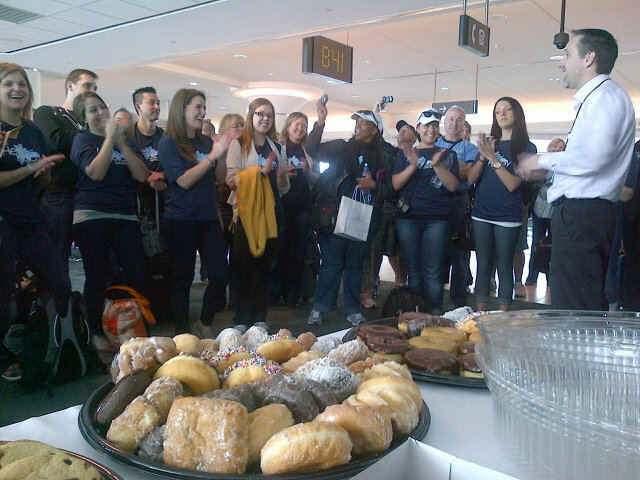 The WestJet Hero Holiday journey begins! Today’s the day! After months of planning, fundraising and much anticipation, 50 WestJetters are converging on Puerto Plata, Dominican Republic to begin our WestJet Hero Holiday journey. With representation from 13 bases spanning from Victoria to Halifax comprised of flight attendants, guest service ambassadors, aircraft maintenance engineers, customer service agents, representatives from the call centres, a pilot, plus many others from campus and across Canada, today is the day our team of 50 “heroes” are meeting each other for the first time. In addition to being WestJetters, this team of 50 also shares the passion and drive to extend our caring WestJet culture beyond our aircraft and airport doors into the community of one of our most popular Caribbean destinations. Our team of 50 was selected by lottery out of a total of 220 WestJetters who put their names forward last December. Our first international community investment initiative, the WestJet Hero Holiday, is a ten-day humanitarian trip to Puerto Plata where our team of WestJetters are immersing themselves in the local community and building new homes for five families living in extreme poverty. To make this trip possible, in addition to committing the resources to organize this meaningful initiative with our on-the-ground charity partner Live Different, WestJet donated $1,000 toward each WestJetter’s total participation fee of $2,150, as well as donated confirmed round-trip flights from each participant’s home base to Puerto Plata. After WestJet’s contributions, each “hero” was personally responsible for raising the remaining $1,150 participation fee. Thanks to the support and generosity of WestJetters, their families, and friends, all participants met their fundraising goal, with many exceeding it! The extra funds raised and donated will go toward furnishing our five families’ new homes with new mattresses, appliances and other furnishings. WestJet’s Facebook page or follow WestJet on Twitter for additional updates. If you’d like to send a message to the participants, please leave a comment on the words of support and encouragement page. We will be sharing your supportive comments with the team throughout the Hero Holiday initiative. *The opinions expressed in this blog are those of the author and do not necessarily reflect the views of Live Different.